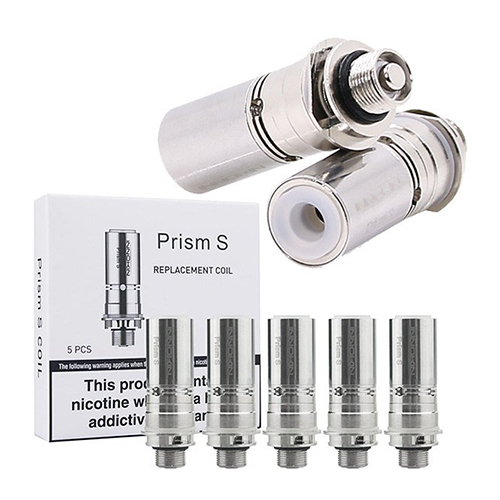 The Innokin Prism S Coils are designed for use with the T20S vape tank and EZ Watt Vape Kit only. Available in 1.5 Ohm, this is a mouth to lung coil. Designed for ease of use, these Innokin vape coils feature 'no spill coil swap'. Each coil houses a 510 connector pin; so by unscrewing the base of your tank you can pull the coil straight out and replace it, quickly and cleanly.